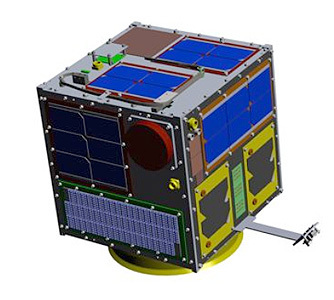 Horyu 4 or AEGIS (Arc Event Generator and Investigation Satellite) is a small technological satellite built by Kyushu Institute of Technology (Kyutech). Horyu-4 is testing an experimental high-voltage solar array system and observing corresponding spacecraft charging effects on the satellite caused by the high voltage. Horyu 4 was launched piggy-back with ASTRO H and two other small satellites on a H-2A-202 rocket from Tanegashima in early 2016.